When a determined raccoon is looking for a place to nest, there isn’t much that can stop them. If that place happens to be in your home or on your property, these critters are able to slip through cracks or openings in roof soffits and open garage doors to gain access. Once inside, they are capable of wreaking all sorts of havoc. Trapping raccoons is the best way to keep your home safe, and the best way to trap them is to detect their activity early. If you notice any of the following, there is a strong possibility of having raccoon activity in or around your home. Though cute in appearance, these creatures are known to cause all sorts of damage. From using your attic insulation as nesting material which drives energy costs up, to tearing apart electrical wiring which creates a fire hazard, raccoons put the wellbeing of your home and family in jeopardy. The most effective means of removing raccoons from a home is to trap and relocate them. 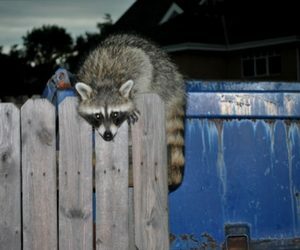 An untrained homeowner should never attempt to handle a wild raccoon, as they often carry dangerous diseases, and become aggressive when threatened. You can trust the professional raccoon trappers here at Critter Control® of Dallas to rid your property of pests for good. For any questions, or to schedule your complimentary home consultation, call us today at 817-222-1101.